As I’m writing this post. I’m on a plane returning back from my vacation to London. I will say that I love vacations. 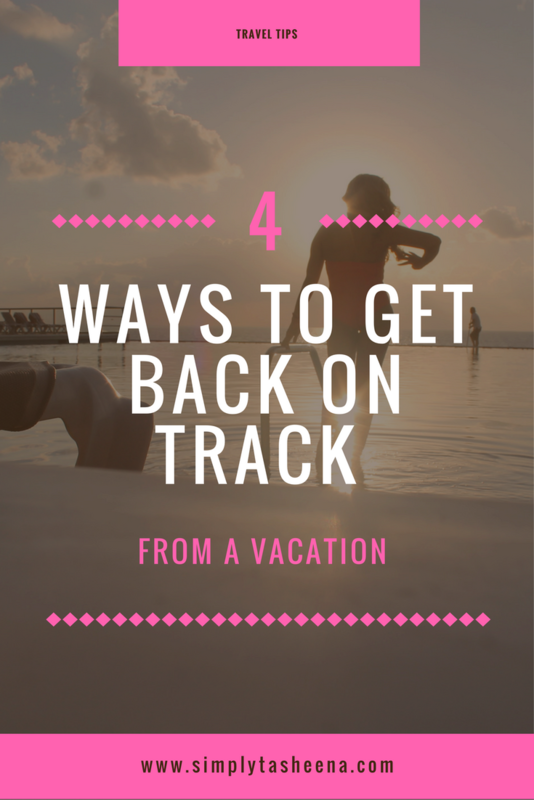 However, bouncing back from them especially can be extremely difficult Below I’m sharing a few tips on how I get back on track from a vacation. Whether it’s three days and two nights or when you start to lose count of how many days you were away. These tips are perfect as well to work on prior to going on vacation. Create a “to-do” list prior to leaving and add to the list while you’re on vacation. This list is not meant to make you wish that you can stay on vacation longer. Because let's be honest, you have the stuff to take care of whether you like to or not. You can create several lists if you see that your original list is starting to get too long. I like to create a list on the notes section on my iPhone of stuff I have to immediately take care of upon my arrival and other items that can wait. Make sure to double check your list to ensure that you have your “to-do’s” are on the right list. The worst feeling in the world is spending days trying to figure out what you have to do. I know, you just came back from vacation. But sometimes you just need a spa day to transition back to reality. I would suggest having a reservation the next full day your back if possible. You can also create your own spa day at home. You can set up your spa day prior to leaving for your trip with your nonperishable items setup so you’re not rushing when you arrive back home to pick up the items needed to make your spa day perfect. Have you bubble bath and candles etc. waiting for you in a basket upon your arrival. I also love the idea of putting together a gift basket for yourself. Everyone loves gifts right? If you have a new book or even leave your favorite chocolate in the fridge so you can have it ready for your spa day. Make the day special! For some people, depending on where you're visiting. Not having a break between vacation and reality is just better for you. You have to decide if you need to transition and take a planned day off from work or if you literally need to hit the ground running to be more productive. Everyone is different, and if you’ve said to yourself in the past that you should have to take a planned day off from work. Then honestly, maybe you should take the day off to be more productive. Okay, I know this might sound a little crazy. However, planning another vacation can honestly get the spark back with getting back on track. Think about it, if you have another vacation to look forward to. You have no choice but to take care of business to make this dream a reality. Now, you may be thinking “I just spent all of this money…I can’t think of another vacation.” The best part about this is that you don’t have to have money. I love creating a bucket list and brainstorming dates that I can take my next vacation. 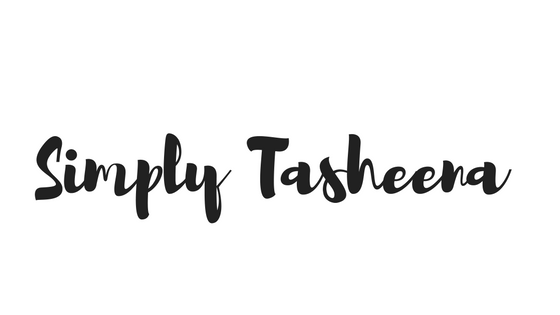 Creating a list of various resorts that I would like to visit and how many days that I would like to go for and what time of the year I would like to go. It doesn’t take money to dream, plan, and make it to a reality. You can do this on your phone or if you have wifi complete all of the searches during your travels. It makes it a lot easier to transition to reality when you have another trip to look forward to no matter how far away it is. Do you have any tips for getting back on track after taking a vacation? These are very awesome tips. Btw I find it hard going back to school from summer vacation so thanks for this. These are really great tips, I personally slack off after a vacation. I'll try these after my next trip! Great comments here. I am one of those weirdos that looks forward to getting back into the routine after vacation. it's true, it's hard to get back on track when just returning from vacation - or anything that breaks up your normal routine (like a conference trip or something). thanks for this super informative read. This is really good advice. Unfortunately, I've been a workaholic the past few years and although I've been on vacations, I've never truly "switched off", so I haven't needed a transition back into everyday life! I like your tips. Your post reminds me of how I always felt after family vacations - as a mom with four kids, I felt like I always needed a "vacation after the vacation" because there was so much to do before, during, AND after vacation! These are such a great tips. It's true that it's hard to get back in track after a vacation. Great tips! It is very hard sometimes to get back to reality after a vacation. It is already hard to come back from a vacation. I never want to come back but the factor of coming back is something a lot of people forget.